End month sunday, Straight end for the holidays! Bachata workshop with Jorge El Cubano at 8:15 p.m. to continue with its crazy animations and frantic wheels! Don't forget to change your tickets for your frankfurt if you came on Friday or Saturday. 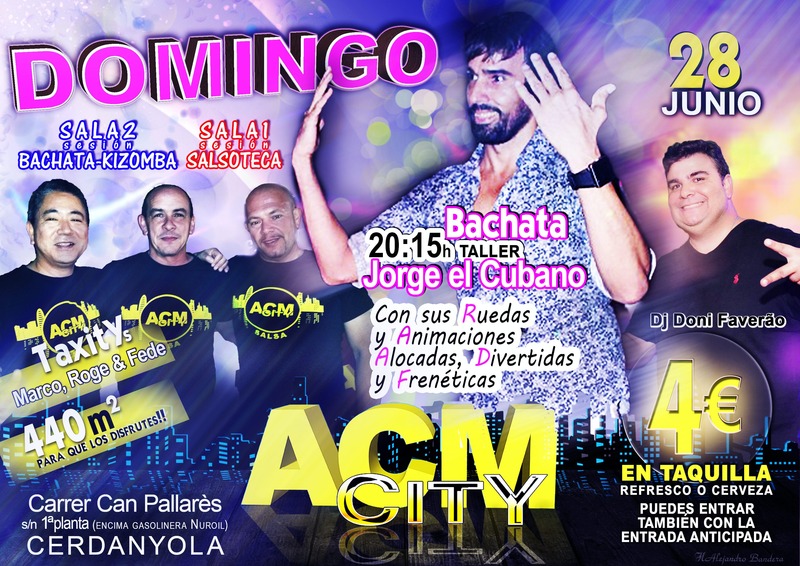 And you know, the best salsa, Bachata and Kizomba is ACM city ! !